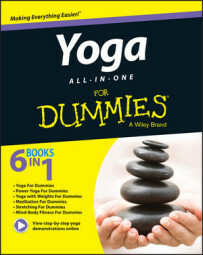 This video resource center is an interactive addition to Yoga All-In-One For Dummies, with bonus material created to help you better understand the concepts and techniques from the book. You can navigate to your desired video clips by selecting individual clips in the content menu. Visit these pages for more information about Yoga! Visit these pages for related products!